A woman found guilty last month of terror charges for attacking workers at a Canadian Tire store in suburban Toronto was given a seven-year sentence on Thursday. 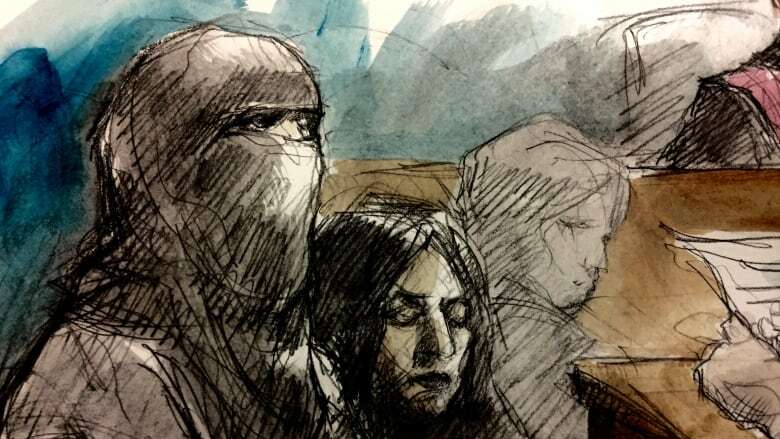 A woman convicted of terror charges for attacking workers at a Canadian Tire store in Toronto was sentenced to seven years in prison on Thursday after a judge found her mental illness played a key role in her crimes. Rehab Dughmosh, 34, was found guilty of four terrorism charges for attacking store workers with a golf club and a butcher's knife while draped in an Islamic State in Iraq and Syria (ISIS) banner in June 2017 and for trying to travel to Syria join the terrorist organization the year before. Court heard that Dughmosh flew to Turkey in April 2016 with the intention of crossing over into Syria, where she was born and raised, to join ISIS. Her brother alerted authorities and Turkish officials did not allow her to enter the country, forcing her to return to Toronto, according to the agreed statement of facts. On June 3, 2017, she attacked people at a Canadian Tire store in the city's east end, clad in a homemade ISIS banner and bandana. She swung a golf club at an employee, which was then taken from her. Then she swung a knife at another employee, but was quickly disarmed and restrained by the store's employees. One man suffered some bruising, but no one was seriously injured. A doctor diagnosed her with a major mental illness that was likely schizophrenia, but could be an unspecified anxiety disorder. The doctor said her extremist beliefs provided "a more stable sense of self at a time when self-concept and personality are undergoing significant changes." Dughmosh said little during her sentencing but spoke up to ask the judge not to destroy the photographs of her children on her phone — a request Forestell agreed to.